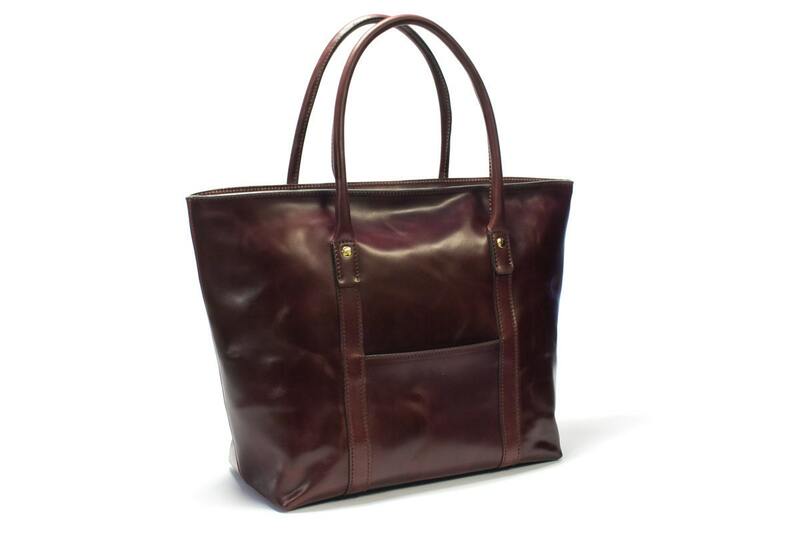 Tote Bag Made by Genuine Shell Cordovan Vegetable Tanned Horse leather. 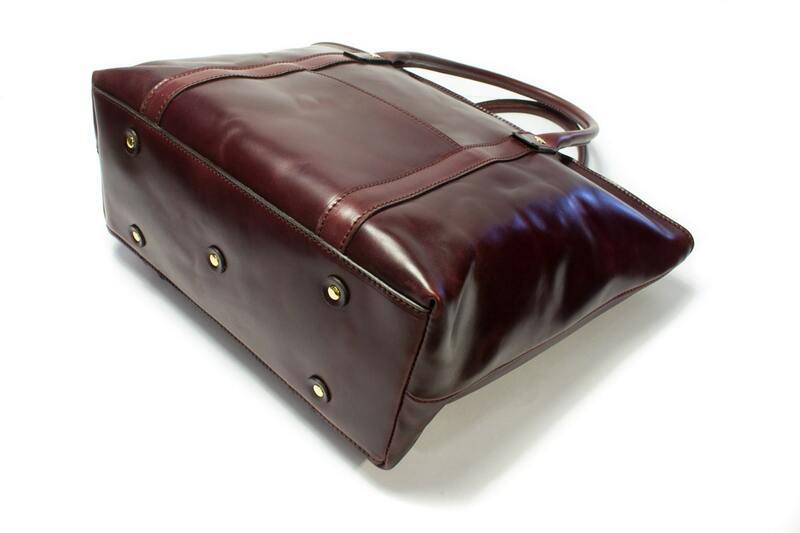 Strong and durable artisan manufactured. 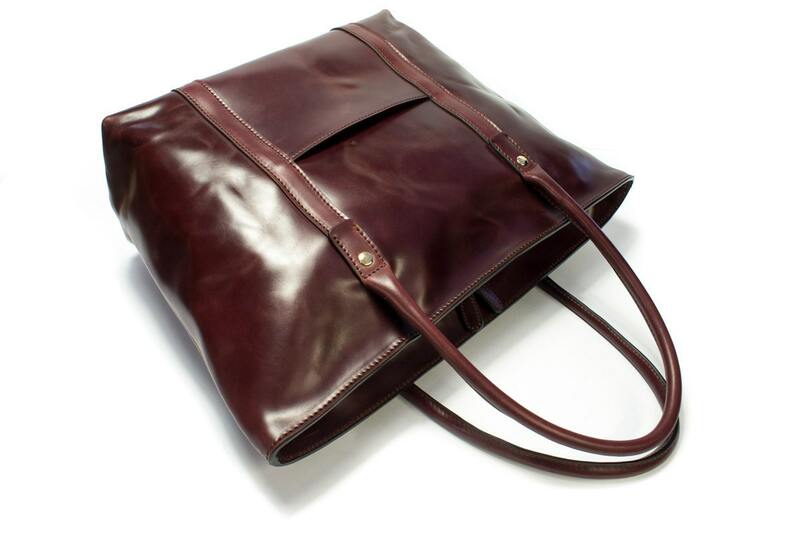 This leather not only wear well, but with minimal care, improve with age. Each Bag is made expressly for the customer on customer's request. 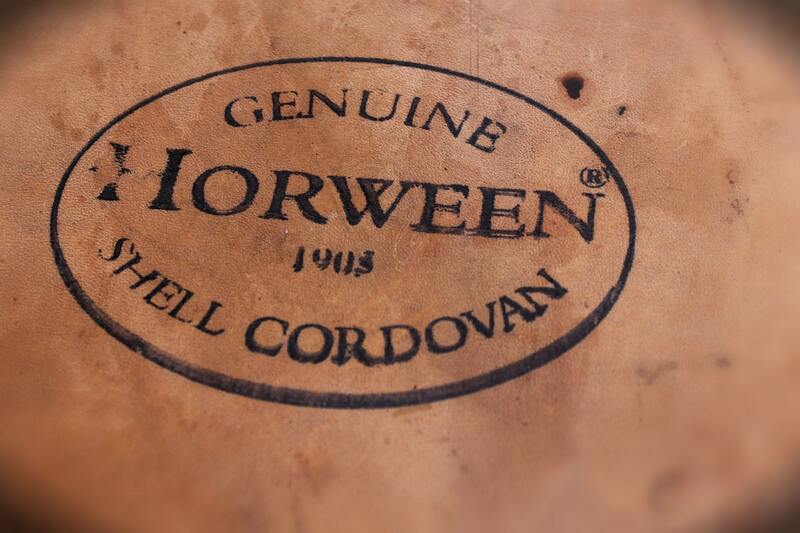 This require few weeks in order to have the Shell Cordovan Material Available and to produce this Unique Piece of Art. possible on request to make also in BLACK or WHISKEY. 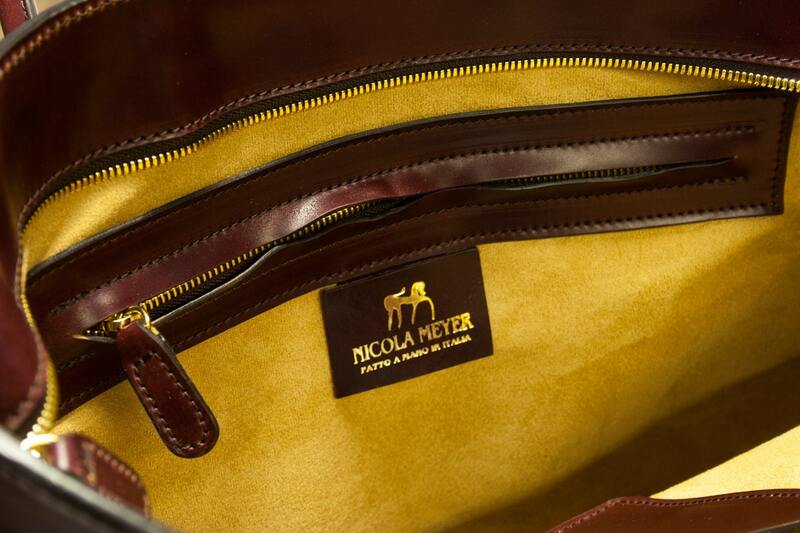 ACCESSORY colour: GOLD, Ykk Excella Zip Fastener.